Nurturing higher conversion rate is an ultimate goal of all eCommerce site owners. Whether your business is small or big, you should always evolve your ideas to create a customer-centric online store for better engagement and increased sales. 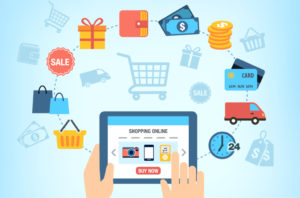 The most incredible way to engage web audience is to create a visually-appealing eCommerce store that can take care of visitor’s shopping experience to a great extent. Apart from quality content, high-end functionality, and in-built features, you should also focus on the different aspects of web design, especially when it comes to creating an eCommerce site. A beautifully-designed online store can stimulate web visitor to visit your site and navigate through your product pages. This means you can assist your web customers by improving the design of your website. If you want to convert the web visitors into potential customers and subscribers, then never overlook the visual appearance of your store. Make sure you revamp the overall look and feel of your e-store in order to generate quality leads and higher conversions. Below are some of the impressive web design tips that will boost your CTR and give your web customers a top-notch shopping experience. Slowly and steadily the new-age mobile phones (Androids, iOS, Blackberry) have been dominating the entire eCommerce industry. In today’s technological era, we can’t imagine our life without smartphones. More and more people are shopping online via their smartphones. This growing popularity is influencing web designers to create a responsive site that can work smoothly on different devices and screen sizes. So if you want to grab more targeted web visitors, make sure that you create a responsive site that can give rich shopping experience to both the desktop as well as mobile visitors. You can even launch a mobile-friendly version of your online store to give rich scrolling, zooming and panning experience to your mobile web customers. This can help you get a lot of benefit in terms of higher conversions and improved sales. The search bar on an eCommerce site is considered as the beginning of the journey, but still, there are many web designers or e-store owners who overlook this functionality when it comes to improving conversion rates. It is one of the crucial aspects of your store that can help you convert your web visitors into potential customers. So, instead of creating messy and complicated search bar, make sure it is simple, accessible, and readable. ● Tweak the color of your search icon to make it more appealing and grabbing. ● Add text inside the bar, such as “Enter Keyword”. ● Use relevant tags on all your products to render precise search results. ● Embedding filter functionality to the result page – based on color, size, brand, price, new, and popular. ● Add an auto-complete functionality to provide the desired results to the visitors. ● Instead of plain text, you can use semantic-based search results and a much more. Icons are incredible for grabbing the attention of web visitors. So, ensure that you use large and clear images if you want to boost the conversion rate of your eCommerce site. Bigger and clearer icons help visitors to see the zoomed picture of the products to get their detailed view – this encourages visitors to make a buying decision quickly and easily. You can also use high-quality videos to represent your products in an engaging style. But make sure your visual content is of high quality and load quickly or else you could lose your potential web visitors. A quick product review can help visitors to make buying decision instantly. Usually, people look for the reviews before purchasing any product online. This means you can improve the conversion rate by creating a pop-up windows to showcase the detailed reviews on the same. Quick reviews make it easy for the customers to get the key details of the product on the fly -this will save both the time and effort the customer, which turn, boosts their shopping experience and you will be able to generate higher conversions. Convert your web visitors into potential customers by stimulating them to add their desired product(s) into the cart. But for that, you need to create engaging “Add to Cart” button that can easily be visible to the visitor. You can choose an eye-catching color combination that can go with your site’s design. Also, make sure that your visitors won’t make extra efforts to find the button. It should be accessible so that visitors can go through the buying process without any distraction. These are the five most compelling web design tips that will help your eCommerce site to get more web traffic, generate higher conversion rate and online sales. With these tips, you will be able to grow your customer’s reach quickly and efficiently. Linda Wester is a web development expert and has been associated with leading PSD to Magento company over 4 years. She is an avid blogger and something of a geek who shares her experience with others through her articles. Find out more interesting about her on twitter. The Theme of your website has an important role in your success. Appealing website is must for the success of any business. Thanks for sharing your ideas. Enjoyed a lot while reading this Blog.